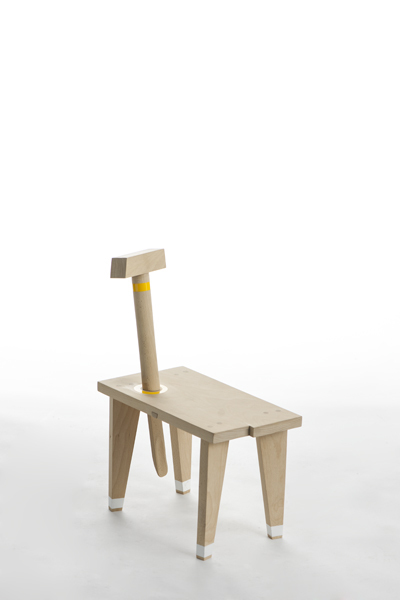 The stool is designed on to assist you whilst putting your shoes on. You must build the stool yourself with the hammer tool, which will serve as a shoehorn when its duty as a hammer is done. The colours work as a user's manual where yellow goes with yellow and white goes with white.